The location of this condominium is 200 Pensacola Beach Road, Gulf Breeze FL 32561 on the northeast side of the approach to the Pensacola Beach bridge. 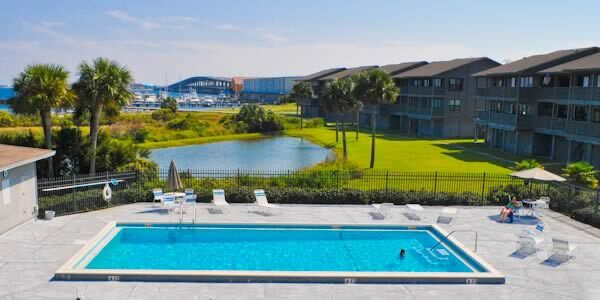 Sunchase Condo overlooks Santa Rosa Sound with many units having splendid water views. Sunchase is a well-liked condominium where you can find charming two bedroom residences that are available for sale. These condominiums were all built in 1984, but there are considerable differences from one unit to another since many owners have made custom updates and improvements. 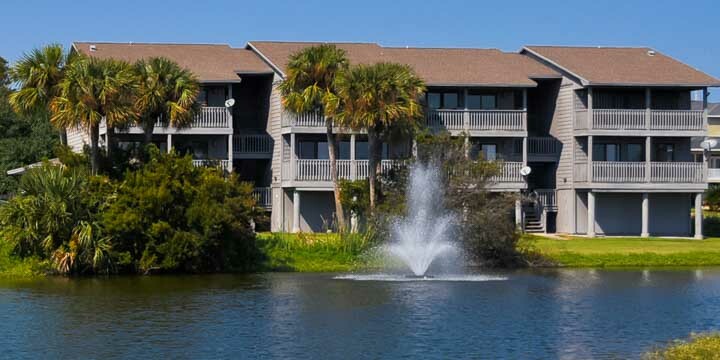 These condos are only five minutes from Pensacola Beach. Sunchase is truly walking or biking distance to the beach and is very close to shopping, hospitals, stores and restaurants. There is a pier where owners can tie up the boat and enjoy great water views. There is also a fishing pier across the street which is is often used by residence. The Sunchase Market Report allows buyers to see current listings, pending sales and purchases in Sunchase during the last twelve months. Prospective sellers can utilize this report to help them understand the current market value of their specific condo. If there are no Sunchase Condos listed below, this is because there are currently not any units listed for sale with the MLS. Contact Us and we will try to locate owners, on your behalf that are interested in selling.